British photographer Dafydd Jones (b.1956) has worked as social photographer since the early 1980s, contracted by such publications as Tatler, Vanity Fair, The New York Observer, The Sunday Telegraph, The Times and Independent. 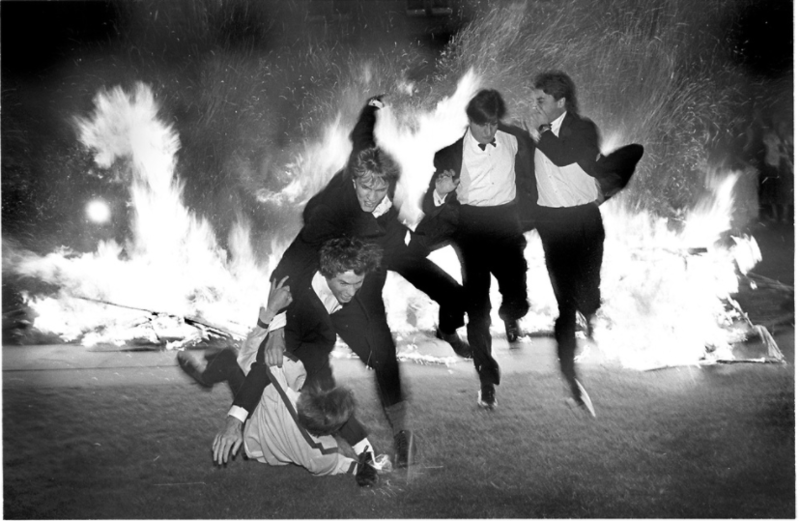 After winning a prize in a photography competition run by The Sunday Times magazine in 1981 with a set of pictures of the ‘Bright Young Things’, Jones was hired byTatler magazine editor Tina Brown to photograph Hunt Balls, society weddings and debutante dances. This exhibition explores Jones’s behind-the-scenes images taken in the years that followed, between 1981-1989, known as ‘The Tatler Years’. Vintage and modern limited edition silver gelatin prints available. Please contact printsales@tpg.org.uk for more information.